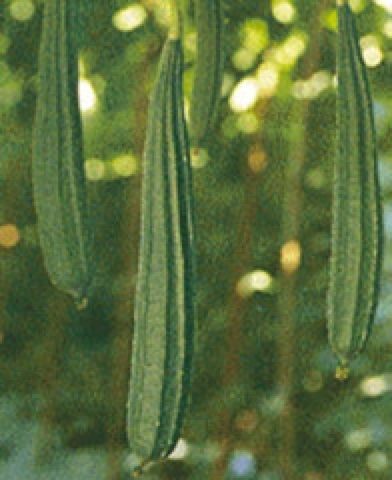 Luffa acutangula is commercially grown for its unripe fruits as a vegetable. Mature fruits are used as natural cleaning sponges. 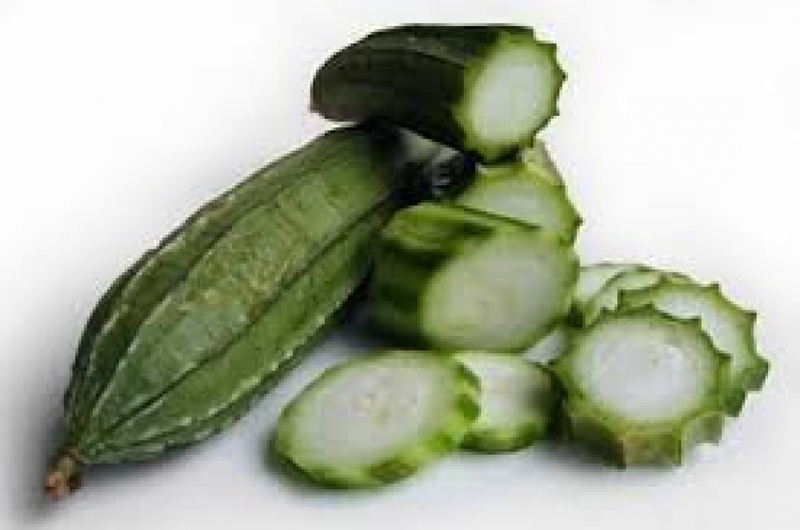 Its fruit slightly resembles a cucumber or zucchini with ridges. It ranges from central and eastern Asia to southeastern Asia. 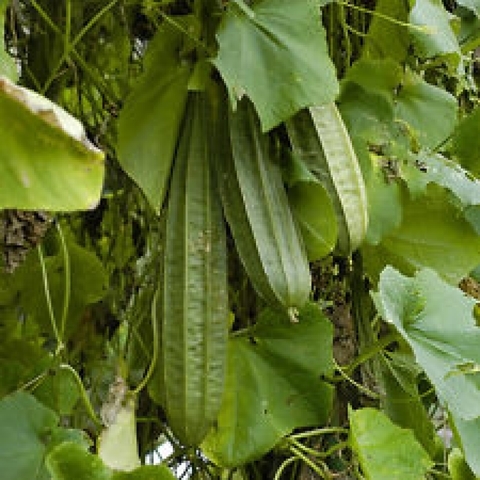 It is also grown as a house plant in places with colder climates. Luffa is a fast-growing, long-season, warm-climate vine plant that can climb up to 15 feet high. 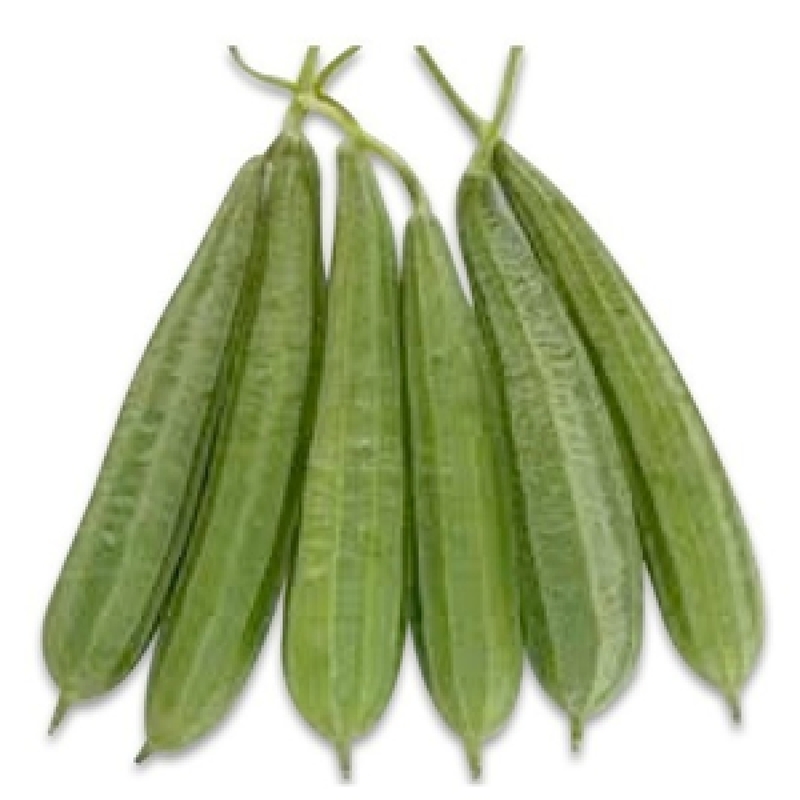 Height : 60" - 96"
Size : 8" - 16"
Use : Excellent for any dishes.